This new moon supports a reset in your sense of balance. Whatever you have not had enough of in the past couple of weeks, take some of it today or do some of it today or bring some more of it into your life today. For some, it will be much needed rest. For some much needed social time. For others it may be physical exercise. And some of you may just need to give yourself a gift. This is also a highly creative and energetic time that may inspire you to want to have or do something different. Just make sure you build balance into whatever you are inspired to have or do. There is an aspect to this New Moon that may cause indecision; too many choices, too much on your plate, too much talk and no action. If you feel stuck in indecision, just go with what draws you most even if you don’t see it as the most practical. And if you feel you are carrying too many expectations from others and they are clouding your personal desires, we have just the remedy! Stimulation, activity, networking, projects ~ it’s a high voltage time! The air and fire sign planets are in the vast majority, and they turn up the heat and motivate high mental functioning and inspiration. Mars, the planet most masculine, passionate, physical and action oriented is conjuncting the Sun just days before New Moon (June 14) beginning his own, new two-year cycle. So Mars, Sun, Moon, all in air sign Gemini are like a floodlight on our thinking mechanisms, relatives, information highways, transport systems, and nervous system. With Jupiter, Uranus and Venus along with Juno and Pallas Athena all in fire signs, we have multiple aspects around New Moon for opportunities and ease to open up for us. Who, but you, is going to provide the necessary guidance for this high-octane energy? Gemini and its ruler, Mercury, are neutral – just the messenger. Mars/Sun/Moon need a mission, a project and New Moon is always the time to regroup and get your priorities in order. Unplug and dedicate some New Moon hours to going within your inner sacred space and sort what is your most beneficial focus for the next round. Mercury is just days out of retrograde and is beginning to creep forward slowly to June 26th when it will reach the degree where it began its retrograde at 13º Gemini. Mercury will happily be in Gemini, its own sign, for an extended 9 weeks instead of the usual two weeks per sign. So we get to study and experience our communication/transportation issues from every possible angle in great detail. Observe carefully those thoughts and words with which you are choosing to create your world. Both Chiron and Saturn are conspiring to aid us in releasing patterns rooted in our habits of thinking and speaking. Saturn opposes Mercury and Chiron squares the Sun/Moon/Mars. 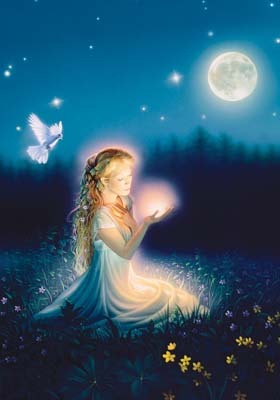 Observing our thoughts and listening to our words, are we aware of what we are beaming out into the airways around us? Are you still imagining your thoughts are invisible to others or are you taking responsibility for what emanates from your inner field? With Mars so prominent, our own inner masculine may be willing to admit to the vulnerability of its woundedness and surrender to a more balanced relationship with the inner feminine. The Feminine represented by multifaceted Pallas Athena, keeper of our creative intelligence, our ability to visualize and create, gifted healer with the energy modalities and strategic thinker for the betterment of the collective is aligned in an exact Grand Trine with Jupiter, the Expansive One, and Uranus, the Awakener all in fire signs (Sag, Leo, Aries, 19º). Capitalize on all this warm-hearted energy of courage, spontaneity and forward-looking enthusiasm that this alliance has to give. At the same time, Pallas Athena is opposing the Sun/Moon/Mars trio while Chiron in Pisces, that perpetual chi gong master, squares them all, saying pay equal due to that part of you where your deepest illusions lie. Those dang water signs keep wanting us to tell the emotional truth! And with Chiron in Pisces, we are spurred on to consider all the ways we hold ourselves separate from our essence and the Divine. Now here’s a powerfully important locus of energy. Summer solstice is that point where the Sun is at its peak for the year and the days are longest and the nights are shortest in this hemisphere (reversed in the southern hemisphere) when the magic of midsummer’s night dream is upon us. From the peak on Sunday, June 21, 10:37 AM Mountain Time forward, the light begins to slowly decrease until we come to winter solstice. The Sun moves into watery, emotional Cancer and is traveling with mentally energized Mars still in Gemini, so that will keep the intentions moving forward in an active way especially in those Cancer-ruled areas of home, family and food. Cancer’s ruler, the Moon, is in dynamic, fiery Leo (29º) so personal panache and self-expression will be a delightful addition to our summer months. We also have the benefit or limitation, however you want to look at it, of Saturn’s influence encouraging us to look at our limiting familial obligations and our own fears and inadequacies. Saturn always brings us face to face with how discipline and focus are actually highly beneficial tools in helping us get where we want to be in our lives. Many have talent (Leo) but it’s those with discipline and talent that create success, prominence and accomplishment. So those willing to make adjustments to the demands of Saturn on the energy and exuberance of the Sun/Mars and Leo influences in this solstice chart will experience maximum returns on their investments. There’s a whole school of astrological thought based on the cycle of eclipses. They offer a heads up for the period of time between June 23 and July 5, with June 23-24th to be particularly noteworthy for “Big Events, Big Changes”. During this time frame, that big solar eclipse that was right on the Spring Equinox at 29ºPisces-0ºAries, will be stimulated by a square from Mars and a trine from Saturn. Mars and Saturn do that gas pedal/brake pedal thing. Mars is quite capable of precipitating volatility, hot emotions and impulsive behavior. Also the midpoint of Uranus and Neptune is at the 0ºAries point. ‘Large storms, huge pollution events and tectonic movements” have all occurred at this same sensitive degree point in the recent past. So let’s put our best intentions forward for navigating these upcoming rapids. To end on a positive note, I hope you have been looking to the west in the early evening sky to see the beauty and dance of bright Jupiter and BRIGHTER Venus coming ever closer together with their first conjunction on the day of the next Full Moon, July 1 at 21º Leo. As you stand under the night sky looking up at their brilliant light, imagine their gifts raining down on you ~ beauty, pleasure, conviviality, abundance, and the joy in the balance of the feminine and masculine coming together. This entry was posted in Authors and tagged new moon, summer solstice, Venus Jupiter. Bookmark the permalink.